“Every transaction has a personal dimension. Restaurants show us how to be better negotiators by keeping the relationship front and centre. On my last trip around the country, a friend of mine wanted to spoil me so she took me out to a fancy restaurant. I’m not going to drop names, but think seafood. Extravagant seafood. She said it was a popular restaurant, and almost impossible to get a reservation on certain nights. Sometimes you had to book weeks in advance. Later that weekend, we went out for icecream at some hipster icecreamery that had a queue out the door. She said it was the best in town. Personally I’m not sure it was worth queuing for, but there you go. Queues are a curiosity to economists (and reservation list are just virtual queues right?). In economic theory, they don’t exist. In competitive markets, if a producer sees there’s a queue for their products, they produce more. If they can’t produce more, they increase prices. 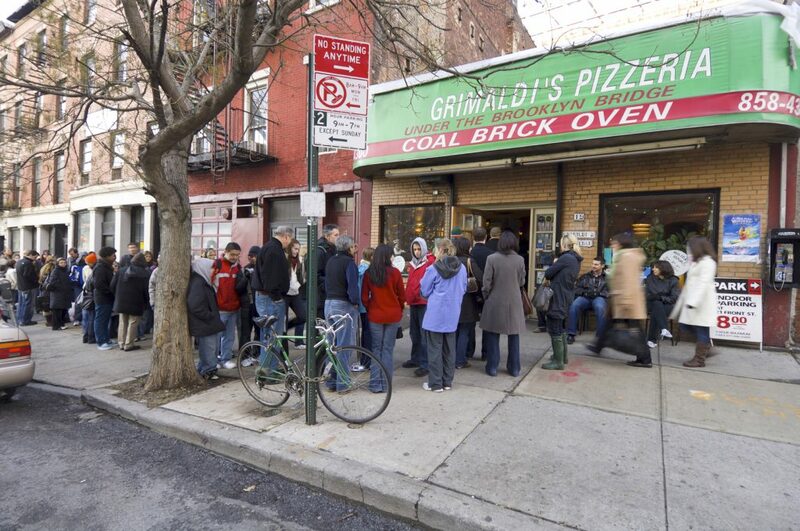 So how is it that queues and waiting lists are common in the food game? If you had put an economist in charge of that seafood restaurant they would have increased prices, or at least charged a reservation fee. Still, there’s some surplus in the market here that no one’s taking advantage of. Some have tried. In the US there are websites, like resy.com, that effectively scalp bookings. They make reservations well in advance, and then as the reservation date draws nearer, sell the reservation off to the highest bidder. And restaurant pricing is also odd by modern business standards. ‘Differential pricing’ aims to squeeze as much out of each individual customer as possible. Take airline tickets. There’s three different classes, and huge variability in price depending on what time of the day you’re travelling, or how far in advance you’re making your booking. But in pretty much all restaurants, a meal at 5pm on a Tuesday costs exactly the same as a meal at 7.30pm on a Saturday. Part of it might be about not angering your base. For a lot of restaurants, ‘regulars’ make up an important chunk of the business – like 30 – 40% of revenue. And your place might be pumping on the weekend, but it’s regulars that pay the bills through the week. But I think the key is to understand the service that restaurants are offering. Restaurants are not just about food – they’re not just a retail outlet for meals. Restaurants sell an experience. And the way money interacts with that experience, changes that experience. I’ve had friends who’ve run restaurants and they say that at its best, it’s like throwing a dinner party for your friends every night of the week. And this is the experience that’s on offer and that we buy into. We go around to someone’s place. We step into their culture, admire their décor, and enjoy the food they cook for us. We let them take care of us for a while. The money aspect is just an ‘unfortunate necessity’, and we like to quarantine and gloss over the commercial nature of the relationship as much as possible. And so to raise prices depending on the days of the week, or to charge booking fees just makes the commercial reality too ‘in your face’. And this is exactly what economists don’t get. In any transaction there is the material exchange of goods or services, and money. But there’s also a relationship there. And that relationship matters. So when I go to fast food outlet, the relationship between me and the cashier is purely functional. I don’t need them to smile. I don’t care. But in a restaurant, the relationship is a key part of the experience. The friendliness of the staff does as much for the experience as the food. And so the best negotiators I’ve seen have an instinct for the personal dimensions and the relationship that’s being built. They put energy into it. I remember a friend of mine was negotiating with someone who had just inherited her mother’s home. She also lived just up the street herself. The house was important to her. It was full of memories. So my friend took the time to explain what she was thinking of doing. Described a few renovations and touch-ups. Nothing major. Gave the owner a good sense of who she was and what she was about. She put energy into the relationship. As a result she was able to get a price, and generous terms, that worked well for them both. If someone had come in, put his feet up on the table and said, I’m going to bulldoze this dump and throw up a high-rise, there’s would have been no price high enough for her. As potential buyers, we need to be sensitive to the special relationships people have with their homes. For many, it’s not purely an economic transaction. For many, they’re bundling up their memories and passing them on. If we can come at this with genuine respect, and be conscious of the relationship that accompanies any transaction, we can secure better outcomes for everyone involved.